A National Junior Instructor award patch (Canadian) for successfully completing the last five tricks in the 25 trick ladder. Made out of thin felt cloth. 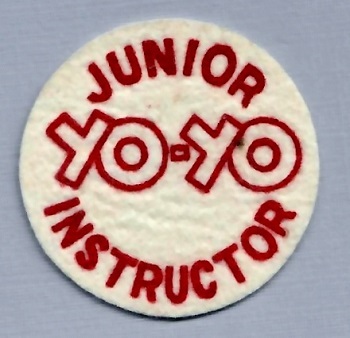 This award patch permitted you to represent National Yo-Yo as a qualified yo-yo instructor.